Conservationists have just begun a nine month repair of the Church of the Holy Sepulchre in Jerusalem's Old City - specifically repairing the tomb that many believe is the actual tomb that Our Lord was buried in and rose from three days later. After several centuries the chapel is beginning to collapse in on itself and without these repairs nothing will stop the collapse. And for the first time in more than 200 years, they will look inside. The ruins of what is believed to be a rock-cut tomb are being breached because the chapel built above is falling apart. Its repair is decades overdue. After years of squabbling among the Christian communities who occupy the site, work to restore the edifice began earlier this month. The conservationists — whose jobs have included repairing the Acropolis in Athens — are not sure what they will find. “We will see what we see,” she said. The conservation team has already probed the chapel and tomb with ground-penetrating radar and laser scanners. 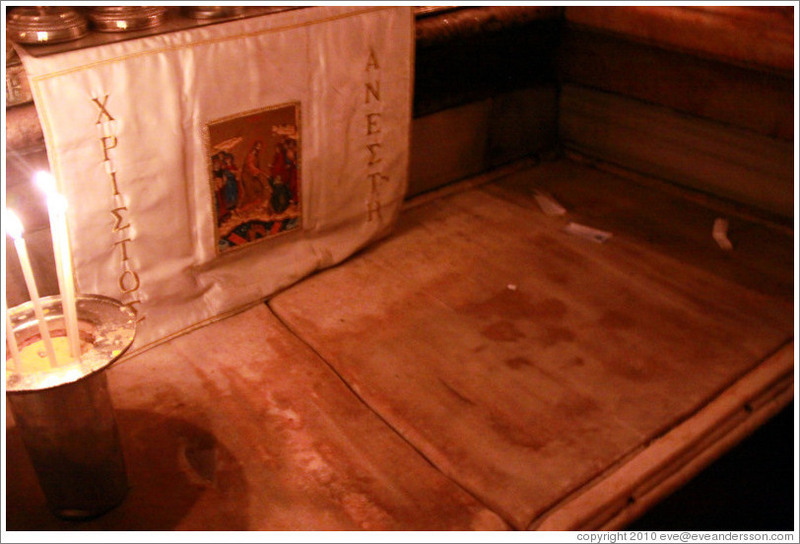 They have detected a fracture in the rock of the tomb, unknown until today. They believe that the crack is the result of stresses put upon it by the columns supporting a cupola above. Still. No modern scientist has ever looked inside. Or maybe the small, scratched crosses left in the caves of Christians in the first centuries after his death. Or maybe just cut stone. Whatever evidence exists, the conservationists won’t know until they get there — and even then, will it prove definitively that this was the tomb of Jesus? But what if they find something more? Could it authenticate the tomb? Or perhaps even play a part in the Great Delusion?